Cast: Tracy Spiridakos, David Lyons, Graham Rogers, Tim Guinee, Zak Orth, Maria Howell, Elizabeth Mitchell, Billy Burke, Giancarlo Esposito, and JD Pardo and Daniella Alonso. "No Quarter" is a term applied to those who surrender in battle. They will not be quartered or housed; instead, they will be executed. 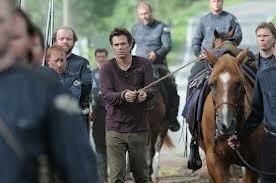 Luckily, for Miles (Billy Burke), in the third episode of "Revolution," he is not sentenced to death. Instead, he is towed to Saint Anne, Illinois, which might be a fate worse than death. "No Quarter" is an episode that showed some improvement in the use of segmented stories and comedic dialogue compared to earlier episodes. This film fan's intrigue was also piqued by all the film references and by actor Billy Burke's ability to portray a believable anti-hero. There were at least three central stories being developed in this short fourty-two minute showing. The main story continues to focus on Miles and Charlie (Tracy Spiridakos), his niece. This storyline offered more backstory for Miles' character. He was one of the original founders of the Militia, a bloodthirsty group trying to cement their power in the mid-west. Miles was actually second in command of the Militia forces and he was one of the primary trainers for Militia troops. All of this comes as a big shock to Charlie. The second, less eventful story involves characters Danny (Graham Rogers) and Captain Neville (Giancarlo Esposito). Danny, Miles' nephew, is a captive of the Militia. He struggles with a guard who has lost a friend in battle to Danny. A bag full of potatoes becomes the guard's comedic torture tool. Is this a one-sided pillow fight? Danny reciprocates the torture with a very real threat on the guard's life. This second minor story was much less exciting than the one discussed above. The third story is the more pathetic of the three. Character Aaron (Zak Orth) laments about his wealth and success long since gone now that the lights are out. He feels like a victim once again, which not a trait you want to show or experience in an apocalyptic world. Fortunately, there is some light at the end of this story. A radio is powered by a mysterious device in Aaron's hands, ever so briefly. Hopefully, Aaron can start finding a solution to the world's electrical problems, while forgoing his ability to do very little of anything else. Thankfully, the dry bits are enlivened by the appearance of actor Mark Pellegrino as troupe commander Jeremy Baker. Baker laughs as his Militia troops fall to an accurate sniper: "terrific." He understands the desperation of his situation. When he is captured later in the episode, he becomes bored of the melodramatic jousting between Miles and Charlie: "do you guys remember 'One Life to Live?'" This character seems able to place himself in the role of the viewer very well. The sparring between these two characters has grown tired. Baker knows this and he relieves some of the drama with his acting ability and through the show's improving wit. Some of the show's wit also comes through in the many film references. Shawshank Redemption (1994), Back to the Future (1985) and Stephen King's The Stand (1994) are all referenced. The hideout where the American rebels are holding out is titled as the Lone Pine Mall. This is, unbeknownst to this watcher, a reference to the Back to the Future series of films. It seems Marty McFly is still relevant to television writers at least. Miles' plan to dig his way out of the rebel encampment is referred to as "Shawshanking my way out of here." This strategy involves a lot of digging just like in the film, The Shawshank Redemption. Still, there is more. Miles' pseudoname is Stu Redman, which is another reference to Stephen King's works. 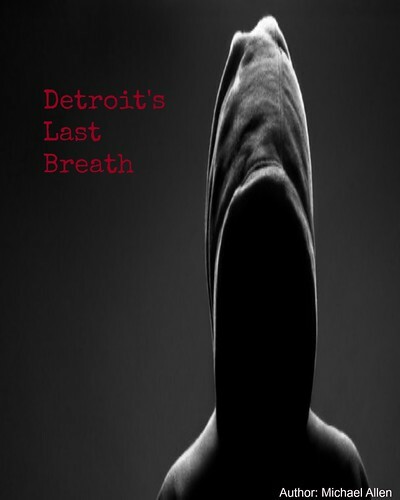 Redman is the central hero in The Stand, an apocalyptic thriller. However, Miles often comes across as more of an anti-hero compared to anything else. The writers are sure showing off their pop culture knowledge, which some viewers might enjoy as well. Briefly, Miles is portraying himself as an anti-hero in this television series. From working alone to rebuffing everyone else's advice, this is a character who does not want to be a hero. Perhaps this is the right decision. In a lawless society, one might have to focus on the best solution for each separate violent scenario rather than simply doing what is right. Scenes from "No Quarter" prove that the character Miles is prepared to do whatever it takes to survive and to help those around him. He is an anti-hero who is capable of dealing with all of the black and whites and the many grays in between. Many of his coping strategies involve violence, so this makes him more of an anti-hero than a standard hero. This episode, with its many enjoyable moments, proved to be one of the strongest showings from "Revolution's" short season thus far. There were excellent action scenes, dialogue and appropriate solutions to difficult situations. 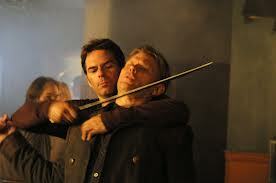 Pellegrino's addition lightened the mood of this episode. The writers also show their ability to write well rounded characters and references to other films. Overall, "No Quarter" was a powerful showing. The next episode, "The Plague Dogs" will host another group of villains October 8th and this fiction fan will be watching. The episode here is definitely worth a viewing, as well, for all of its complexity. "No Quarter" covers a lot of ground in a short fourty-two minutes. And, some of that ground is peppered with some laughable moments despite the show's dire setting. Overall: 7.5 out of 10 (multiple stories being covered, more well-rounded characters are developing, action, well written). *it has recently been announced that NBC has ordered a full season of this show (9 episodes). **is the character Randal a reference to Randall Flagg, another Stephen King character?